Terri has managed Skibbereen Heritage Centre since it opened in 2000. She has overseen the funding, research and installation of the exhibits as well as the day to day running of the Centre. 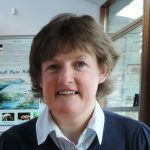 She has published 3 books, Lough Hyne: The Marine Researchers – in Pictures (2011), Lough Hyne: From Prehistory to the Present (2013) and co-authored Skibbereen: The Famine Story (2015). She gives a guided tour of the Famine Story exhibition at Skibbereen Heritage Centre to groups and occasionally gives guided walks at Lough Hyne too. Margaret has worked at Skibbereen Heritage Centre since 2002. 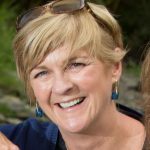 An avid genealogist and local historian, Margaret has helped many thousands of visitors to find their West Cork ancestry. 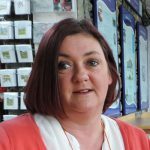 She responds to all online genealogy enquiries and also gives in-person consultations at Skibbereen Heritage Centre. 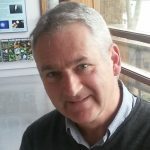 Philip has worked at Skibbereen Heritage Centre since 2014. He has a deep interest in the Famine era and co-authored the first book on the Great Famine in Skibbereen, Dear Old Skibbereen, in 1995 as a member of the Skibbereen Famine Committee and co-authored Skibbereen: The Famine Story (2015). Philip gives guided tours of the Famine Story exhibition at Skibbereen Heritage Centre to groups. Deirdre has worked as a data inputter at Skibbereen Heritage Centre since 2007. 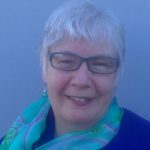 She is responsible for interpreting and cross checking many historical records including vital Church register entries, graveyard, burial records and tenancy records and supports Margaret in providing a genealogy service. William has been a volunteer at Skibbereen Heritage Centre since 2001, providing IT support and knowledge for its genealogy service. 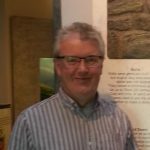 William is an enthusiastic and knowledgeable local historian with a particular interest in burial customs, West Cork genealogy and the Fenians in West Cork and is a great support to the staff of Skibbereen Heritage Centre. Patricia Tomlinson has been a volunteer at Skibbereen Heritage Centre since 2008 inputting genealogical data, including school, graveyards, burials and tenancy records. She has worked on researching the genealogy of her family, the O’Sullivan Pretties, for over a decade and now has a record of over 4,000 relatives. Sarah Tighe has worked at Skibbereen Heritage Centre for two summers. Sarah has a keen interest in history and archaeology and loves giving a warm West Cork welcome to visitors to the Centre. Barry has been a volunteer at Skibbereen Heritage Centre since 2015. 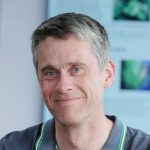 He has worked on a variety of projects, including graveyard surveys, school register inputting and carrying out research on the Great Famine and is very interested in local history.